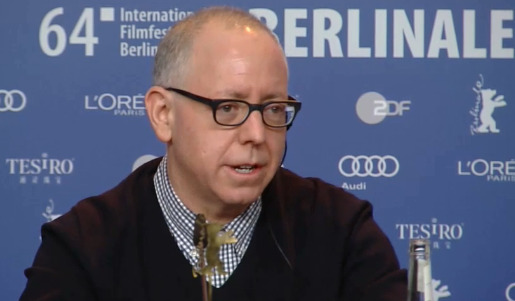 Writer/producer James Schamus will make his directorial debut with his adaptation of the 2008 Philip Roth novel “Indignation,” he announced today, along with the film’s producer Anthony Bregman. The film is set to shoot Summer 2015 in New York. Last October, Schamus was ousted from his post as CEO of Focus Features (many decried this as the “end of independent film”). As a screenwriter, Schamus has worked repeatedly with Ang Lee; his credits include: “The Ice Storm,” “Eat, Drink, Man, Woman” and “Crouching Tiger, Hidden Dragon.” As producer, he’s worked on “Brokeback Mountain,” “Lost in Translation,” “Milk,” “Eternal Sunshine of the Spotless Mind,” “The Pianist” and more. Founder and partner in the highly respected New York based production company Good Machine, Schamus went on to co-found and serve as CEO of Focus Features for many years, overseeing numerous award-winning films through release. He is also a Professor in Columbia University’s School of the Arts. “Indignation” is set in 1951, and it tells the story of Marcus Messner, a butcher’s son from Newark, N.J., who leaves home to attend a small and conservative school in Ohio. There, he finds himself at odds with the school’s administration and anti-semitism. There’s also a romantic subplot, where Marcus falls for an emotionally troubled girl. Roth’s novel “The Humbling” has also recently been adapted for the screen, directed by Barry Levinson; starring Al Pacino and Greta Gerwig. That one will get a wide release in 2015.